The newly created and devised flying show was exceptionally well-received by visitors of all ages. 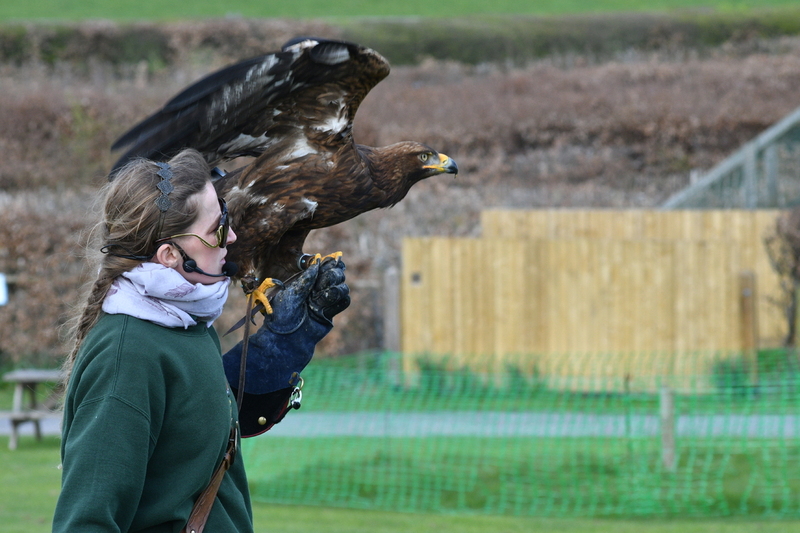 The display, which was curated and performed by expert Falconer Nathalie Denolf, treated spectators to an all-action flight show of impressive birds of prey including eagles, hawks, falcons and owls. An enthralled audience were delighted as these powerful birds soared and swooped just over their heads often diving from great heights to chase the lure. Eddie the Eagle cut the ribbon opening the new, improved and substantially enlarged facility which will home the existing collection, plus the new additions from Nathalie’s own flock, bringing the total to 15 winged wonders at Noah’s Ark. 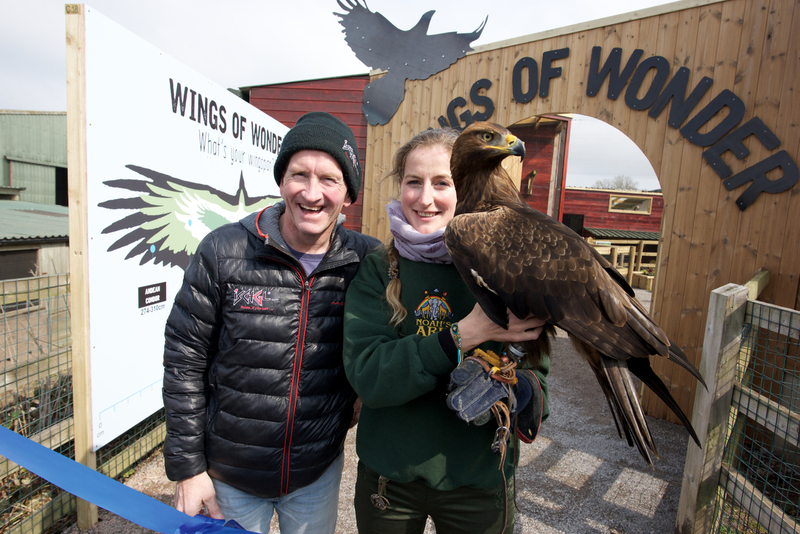 Alongside the new enclosure, the display will be a huge attraction for the zoo with twice daily shows, this new show will feature indoor and outdoor flying displays from some amazing feathered friends including Mr Harry, a majestic golden Eagle hybrid. The Wings of Wonder enclosure which features a contemplative garden and seating area to observe the birds was the vision of Curator, Chris Wilkinson. The Wings of Wonder bird of prey will fly twice a day in our new timetable of daily events and keeper talks. Price: please check the website for seasonal prices. Starting from prices: adults from £18.00, children (over two years of age) from £13.50 and family passes from £42.75. Concessions available, and children under two and essential carers free. Opening times: Noah’s Ark is open Monday – Saturday 10:30am - 5pm. It is closed on Sundays, until Summer when it is open on Sundays from 26th May - 1st September.